​ Westside Veterinary Service, located in Murray, KY, is a full service veterinary group providing an optimal level of care for many species of animals. From our two board certified specialists to our 24 hour emergency service, we are committed to providing high quality care for our patients. Our hospital is certified by the American Animal Hospital Association (AAHA), meeting or exceeding all standards. We offer general preventive care as well as specialist surgical procedures. We currently are the only facility offering CT Scan in this area. We are dedicated to caring for your pet's needs from the youngsters to the mature adults and look forward to helping you ensure your pet stays happy and healthy. With Digital X-ray and CT Scan, we are able to offer a much more in depth approach to diagnosing and treating your pet. 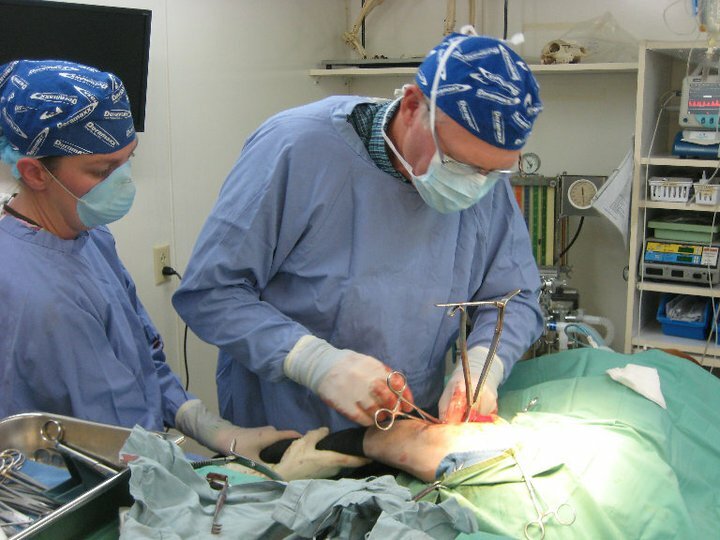 Our surgical referral program is a specialty practice within Westside Veterinary Service that includes orthopedic, neurological, and soft tissue surgeries.